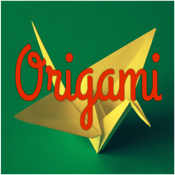 Origami: Learn Origami The Easy Way!! Folding Origami - Learn How to Fold Creative Origami Launch Special. 50% OFF For The Next 72 Hours! Usual Price $1.99! Folding Origami - Learn How to Fold Creative Origami Papercraft is an essential app for 2014! This fantastic app will really help you learn the quickest way on how to fold origami paper craft! Learn How to Fold Creative Origami Papercraft app is essential for anyone who wants to master the art of folding origami. Get your Folding Origami Crafts - Learn How to Fold Creative Origami Papercraft app today before the price goes back up!! !